Justin Bonomo Wins €100,000 Super High Roller (€1,640,000)! The PokerStars and Monte-Carlo® Casino EPT Grand Final €100,000 Super High Roller is all said and done. The man walking away with the title and €1.64 million first-place prize is start-of-the-day chip leader Justin Bonomo. Bonomo was one of the seven players to re-enter this event, firing in two bullets worth €100,000 each. He was the only one of those seven to cash and proved that his move to re-enter was the correct one. Prior to this win, Bonomo's largest score came in 2009 when he took fifth in the World Series of Poker's $40,000 No-Limit Hold'em event for $413,165. At the start of the day, Bonomo held over 40% of the chips in play at the final table. He never lost the lead, eliminating five players en route to victory. When we wrote Bonomo's bio, we said that if he cashed, he'd eclipse the $3-million mark for live tournament earnings. Not only has he done that, but he's surpassed the $5-million mark as well and scored the second major title of his career. Lynn Gilmartin spoke with Bonomo table side after his victory. Congratulations to everyone that cashed, but most importantly to Bonomo on the victory. 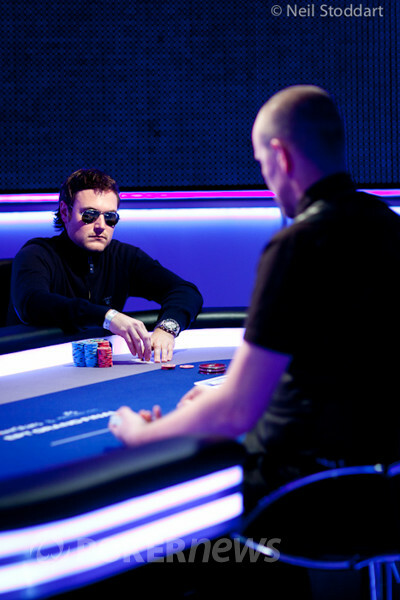 Remember, we're not done here from the EPT Grand Final, so be sure to follow along with our coverage. From the button, Tobias Reinkemeier raised to 125,000. Justin Bonomo three-bet to 350,000 from the big blind and then Reinkemeier put all of his chips in for around 1.5 million. Bonomo called holding the and it would be a flip against the for Reinkemeier. The flop came down and Bonomo took the lead with top pair. The turn meant Reinkemeier was left needing a four and only a four on the river to double up and stay alive. The dealer burned one final time and then dealt the on the river. Reinkemeier had missed and was eliminated in second place. 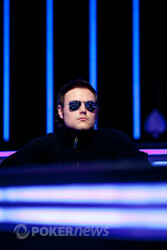 For his runner-up finish, Reinkemeier earned €1.064 million. This is his second massive score at the European Poker Tour Grand Final. In 2010, Reinkemeier won the €25,000 High Roller for €956,000. With this score, Reinkemeier has moved to second on the German all-time money list. 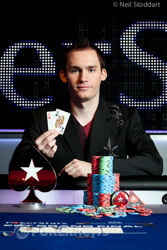 The only man he has to catch now is Team PokerStars Pro and 2011 World Series of Poker Main Event champion Pius Heinz. From the button, Tobias Reinkemeier limped in. Justin Bonomo raised to 175,000 and Reinkemeier called. The flop came down and Bonomo bet 200,000. Reinkemeier folded. Justin Bonomo raised to 100,000 and Tobias Reinkemeier reraised to 300,000. Bonomo folded and Reinkemeier won the pot. Tobias Reinkemeier raised to 125,000 from the button and Justin Bonomo reraised all in from the big blind. Reinkemeier folded and Bonomo won the pot. From the button, Tobias Reinkemeier raised to 125,000. Justin Bonomo made the call from the big blind and the flop came down . Both players checked. The landed on the turn and Bonomo bet 325,000. Reinkemeier called to see the fall on the river. Bonomo checked and Reinkemeier moved all in for right around 750,000. Bonomo folded and Reinkemeier won the pot. From the button, Tobias Reinkemeier raised to 100,000. Justin Bonomo called from the big blind and the flop came down . Both players checked and the turn brought the . Again, both players checked. The river was the and Bonomo fired 150,000. Reinkemeier called, but mucked his hand after Bonomo showed the for two pair. From the button, Tobias Reinkemeier raised to 100,000. Justin Bonomo called from the big blind and then both players checked the to see the land on the turn. Bonomo bet 150,000 and Reinkemeier called. The river was the and both players checked again. Bonomo showed the for a pair of tens and won the pot.